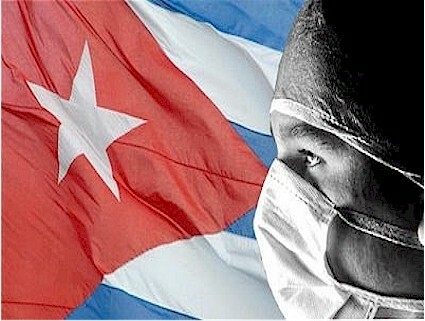 HAVANA- On the evening of October 1, Cuban President Raúl Castro Ruz bid farewell to the 165 health professionals traveling to Sierra Leone, to contribute to the global struggle against Ebola, which has caused the death of thousands of people in West Africa. Raúl shook hands with each one of the Cuban cooperators as they boarded the plane, ready and willing to carry out the sacred task of saving lives. The group consists of 63 doctors and 102 nurses from across the country, all with more than 15 years experience. Around 80% have served on previous international missions, many in African countries. Also traveling to the continent are the heads of the Liberia and Guinea Conakry medical brigades, traveling in advance to prepare for the arrival of Cuban collaborators to both countries. José Ramón Machado Ventura, Second Secretary of the Central Committee of the Communist Party of Cuba and a vice president of the Councils of State and Ministers; and Roberto Morales Ojeda, minister of Public Health, also attended the farewell event at José Martí International Airport.